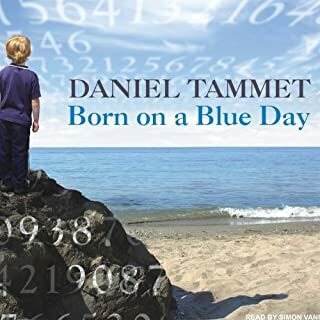 Owner of "the most remarkable mind on the planet," (according to Entertainment Weekly) Daniel Tammet captivated readers and won worldwide critical acclaim with his 2007 New York Times best-selling memoir, Born on a Blue Day, and its vivid depiction of a life with autistic savant syndrome. In his fascinating new book, he writes with characteristic clarity and personal awareness as he sheds light on the mysteries of savants' incredible mental abilities, and our own. Tammet explains that the differences between savant and non-savant minds have been exaggerated; his astonishing capacities in memory, math, and language are neither due to a cerebral supercomputer nor any genetic quirk, but are rather the results of a highly rich and complex associative form of thinking and imagination. Autistic thought, he argues, is an extreme variation of a kind that we all do, from daydreaming to the use of puns and metaphors. 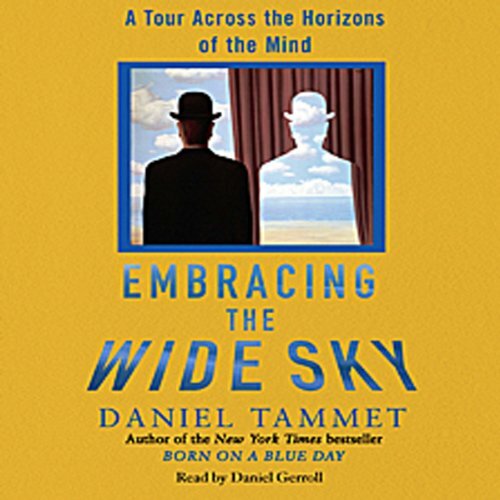 Embracing the Wide Sky combines meticulous scientific research with Tammet's detailed descriptions of how his mind works to demonstrate the immense potential within us all. 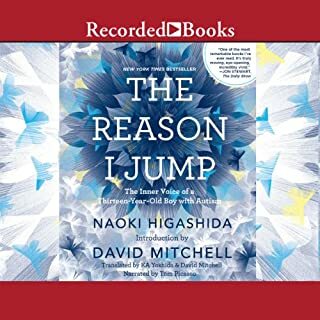 He explains how our natural intuitions can help us to learn a foreign language, why his memories are like symphonies, and what numbers and giraffes have in common. We also discover why there is more to intelligence than IQ, how optical illusions fool our brains, and why too much information can make you dumb. 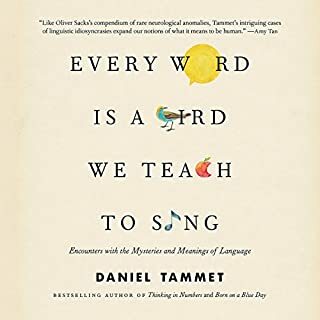 Many readers will be particularly intrigued by Tammet's original ideas concerning the genesis of genius and exceptional creativity. 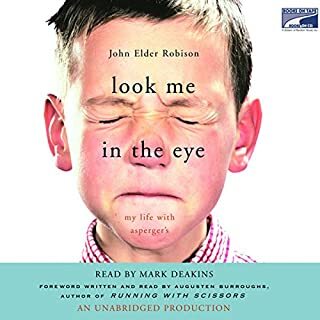 He illustrates his arguments with examples as diverse as the private languages of twins, the compositions of poets with autism, and the breakthroughs, and breakdowns, of some of history's greatest minds. Daniel Tammet does it again. As one of the most fascinating minds of our generation his unique perspective on perception and cognitive science is nothing short of brilliance. I think Daniel Tammet is an amazing find. Sweet and shy but as the late great astonishing Kim Peek learning there is a world out there that they fit in. Even if it is in a different way from some peoples norm. I have a unique mind and have always felt as though I were a freak. I am not autistic nor mentally challenged in any way( I stand to differ)lol. anyhoo his guidance and research was terrific. He made me seem to fit in this world and be proud of the way my mind works. Why it works the way it does and that anyone out there also has special abilities. I know 6 languages only three taught formally the other three I taught myself in a short amount of time. I also know American sign Language. Mathematics also come very easy. I see numbers as a cast in a play. No colors just parts and feelings towards them. I remember numbers easier than long stories word for word. 'well I digress I apologize! His book just gave me tools to look into my unique world and show my loved ones a book to help explain a piece of my world in a well written way. The man Daniel Gerroll who narrated this book was excellent. Time flew by listening to it on my time off or walking. Very happy to have this in my collection as I think you will as well. Its great to see the world through different ways. give it a try ! I greatly enjoyed his explanations of how he experiences the world and rate these sections of the book very high. The other information about language development, mathematical reasoning, and other areas were interesting but very dense. If it weren't for interspersing his personal observations I would have found these sections to be less interesting. Excellent choice for those wanting more. What made the experience of listening to Embracing the Wide Sky the most enjoyable? the fact that I have little time to read formally, and I could listen at my liesure. What other book might you compare Embracing the Wide Sky to and why? 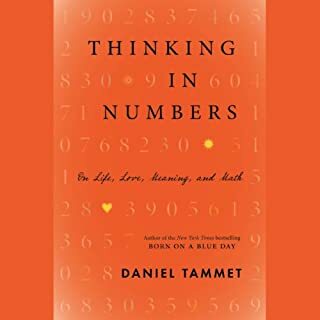 Daniel Tammet is autistic and has provided us a second book dealing with his cognitive functioning. 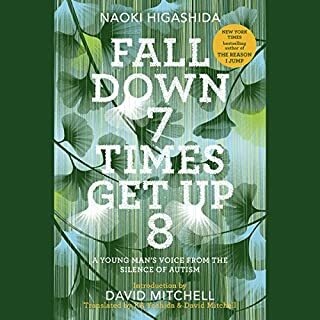 This volume as well as his memoir, "Born on a Blue Day," deals with a number of cognitive issues while focusing on the autistic experience. First, you will learn that being autistic is not what you thought. Forget the "Rain Man." There is more to the cognitive abilities of those with autism than meets the eye or the popular media. This is a wonderful, informative, well written, insightful read. Daniel Gerroll doesn't miss a beat reading either. Take a chance on this one even if your interest is elsewhere.